No effort from your side - we do maintenance, product refilling and more for you! Free consultation to make your vending machine even more profitable. On signup you get $500 FREE SIGNING BONUS. Do you have a location with intense traffic? 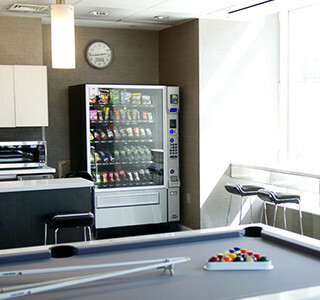 With our full-service high-tech vending machines, you can start selling to your customers beverages, snacks and coffee seamlessly – we will take care of everything (from stacking the machine to maintenance and reporting). What’s even better, attracting clients to your vending machines has never been easier with the 8-inch touch screen display and the option to have a custom design of your choice. Also, you can display product promotions on the LED screen to drive even more sales! We significantly improve amenities at all our locations and provide an all-inclusive service to our clients at NO COST to them. Intelfoods Vending has met and exceeded our expectations since we made the switch from another vending provider 3 years ago. Their service has been exceptional, from the route driver to their state-of-the-art machines and 24 x 7 customer service. The entire staff has gone out of their way to assist our requests for special courtesies that have been necessitated by our business needs, along with the handling our facility expansion seamlessly. We are happy for our partnership with them and would strongly recommend this company. What’s even better, attracting clients to your vending machines has never been easier with the 8-inch touch screen display and the option to have a custom design of your choice. Also, you can display product promotions on the LED screen to drive even more sales! We significantly improve amenities at all our locations and provide an all-inclusive service to our clients at NO COST to them. Basically, any space with an intense traffic of people is suitable for our vending machines. 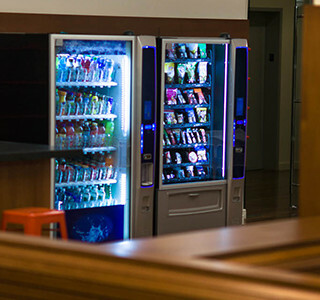 Are you ready to start making money by getting a full-service vending machine? Now it’s even easier with our multi-million dollar insurance policy, full servicing and 24/7 support.